Well it’s PA Renfaire Season again. And since my daughter Molly works there that means a grower for dad. 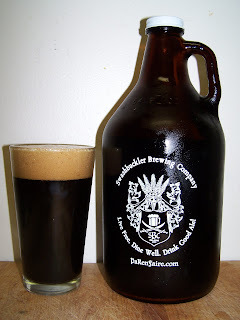 I reviewed this beer last year; Captain Rude's Blackwater Stout it was actually my 24th review. I’m not sure if I need to review this again but I did make a slight improvement in the bringing home process. This time I make sure Molly had a cooler so the grower will stay cold on the ride home. Plus I did not rate this beer last year so I think I owe it a second review. 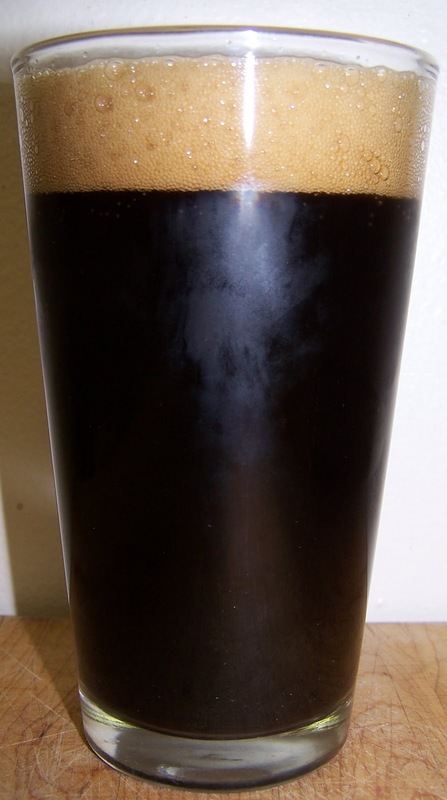 The beer pours a dark brown, stout dark, completely opaque with no light showing through at all. This beer also has produced a nice dark tan head. The nose is nice with rich robust dark roasted malts. There are also very pleasant notes of chocolate, coffee and something sweet; vanilla, alcohol or maybe it’s just a nice hop presence. This is nice. It is however a very robust stout. It starts out with sweet dark roasted malts up front on the tip of the tongue, then a nice smooth mouthfeel throughout the middle of the sip. There is also a building malt bitterness or robustness as you get to the back-end. The back-end is robust but still fairly easy drinking. The finish is fairly dry for such a rich malt stout with a sharp hop and malt bitterness. 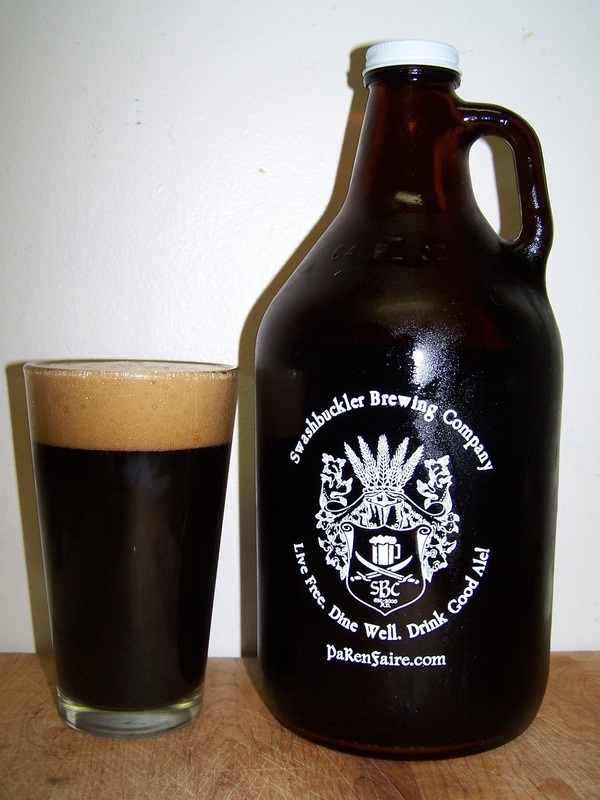 The final aftertaste has that classic malt (stout) coating throughout your mouth. Along with the lingering rich malt flavor there is a sharpness to the final aftertaste. This may be some of that lingering hop and malt bitterness. As this beer warms it seems to get smoother but the final aftertaste seems to be more robust. It’s not harsh or offensive just more robust. Well, I’m obviously doing more drinking than typing since I just poured my third glass from the grower. I am really enjoying this beer. It is different from most of the stouts that I have had. I like the hearty robustness and rich malt flavors. This is really a good stout. I’m not sure if it’s the handling improvements with the cooler or what but I like this one more than I did last years stout. I’m going to give this a B. That may be a little low but I have not had too many English Oatmeal Stouts to compare this to. This is a very good robust and hearty stout. I highly recommend this to anyone traveling to the Pennsylvania Renaissance Faire this season.